At Traditional Tree Service, we truly love trees. That’s why we really don’t like the idea of emphasizing tree removal, but sometimes, it’s a necessity. Whether you have a tree that has been damaged or is showing signs of disease, you want to have removed to make room for a structure, or you just want more open space, you can count on our team of professionals to safely, quickly, and properly remove the tree for you. Why Should You Hire a Professional to Remove a Tree? Tree rot. A rotting tree is very unstable. It could snap unexpectedly while you are trying to pull it down, putting you, anyone near the area, your property, and your neighbors’ property at risk. Imagine what would happen if a piece of the tree broke off and landed on your house – or you? Professionals know how to assess a tree for rot. If rot exists, they know how to take the proper precautions to prevent dangerous mishaps. Safety protocol. Tree removal can be such a dangerous task that it is actually an OSHA requirement for professionals to wear the proper protective gear. Unless you are a professional, you might not know what the proper safety gear is which could put you at risk of sustaining serious injuries. Professionals have received proper training, know what type of protective gear to wear, and will ensure that they are explicitly adhering to safety protocol. The right equipment. 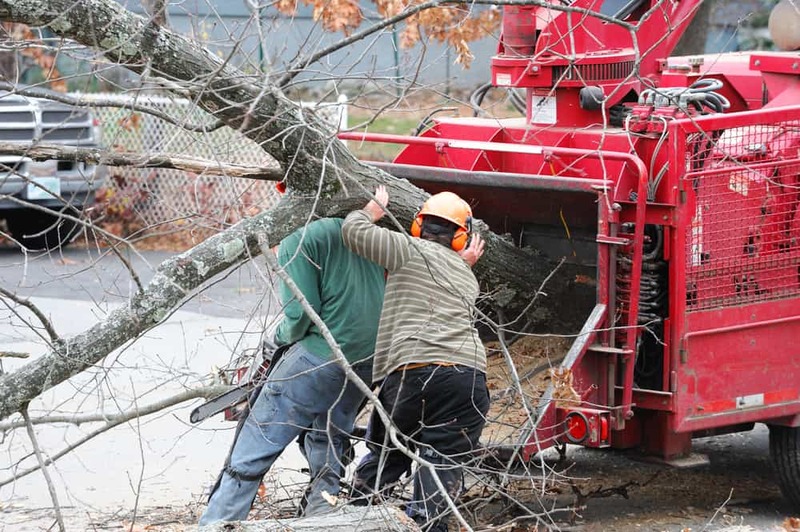 The safe removal of a tree requires more than just an ax or a saw; ropes, cranes, and chippers are just some of the other types of equipment that are needed to take a tree down safely. Even if you do have access to this equipment, you might not know how to use it the right way. Professionals will have all the necessary tools on hand. What’s more, they know how to use them! 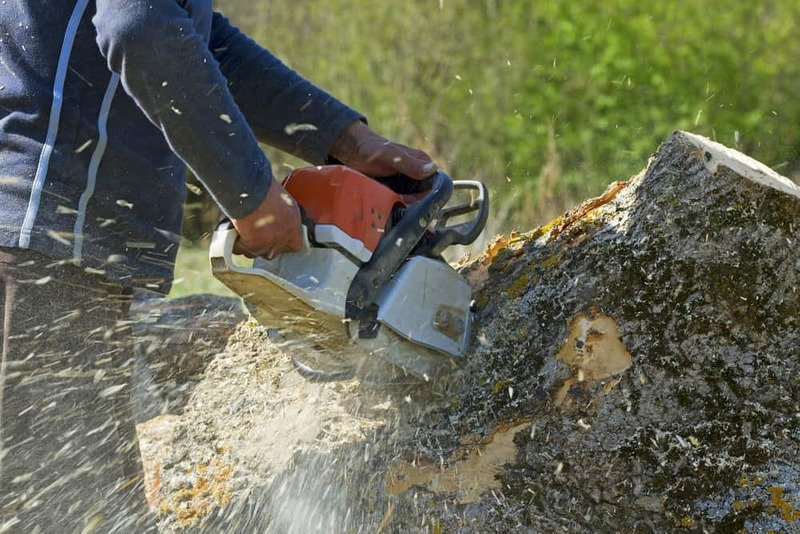 Given all the possible risks that are associated with removing a tree, it’s certainly safe to say that leaving it to a team of professionals is in your best interest. If you are in need of tree removal services in Selden, look no further than Traditional Tree Service! Our team of professionals has received extensive training in tree removal. We use state-of-the-art equipment and the most advanced techniques to ensure your trees are removed properly and safely. We’ll not only take your trees down for you, but we’ll dispose of them and grind the stumps, too! When you choose Traditional Tree Service for your tree removal needs, you can be sure that – from start to finish – you will receive the absolute best service. Prior to taking down your trees, we’ll inspect your property and the tree in question to determine the best and safe tree removal method. We will then use our high-quality equipment and proven strategies to take your trees down safely. When the job is done, you won’t even know that a tree was ever standing at the site! Tree removal can be extremely tricky and dangerous. That’s why you need to hire a reputable tree removal company to do the job for you. At Traditional Tree Service, safety is our top priority, followed by customer satisfaction. We offer very competitive prices, too! If you are interested in learning more about our tree removal services, you have questions, or you would like to receive a free price quote, contact us today! You can reach us via our online contact form. If you prefer, you can send us an email or give us a call. No matter how you get in touch with us, one of our friendly and knowledgeable experts will be glad to assist you and answer all of your questions. At Traditional Tree Service, we always go out on a limb for our customers! We look forward to working with you!